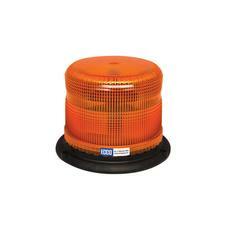 ECCO's Heavy Duty 7900 Series LED beacons feature encapsulated electronics and are ideally suited to severe vibration applications including mining, construction and waste management. These SAE Class I models feature an aluminum base and are available with either a 5" or 7" height profile. Each beacon offers a combined 3 bolt/1" pipe mounting and a 2-year warranty. Encapsulated electronics provide enhanced protection against dust, moisture and vibration.